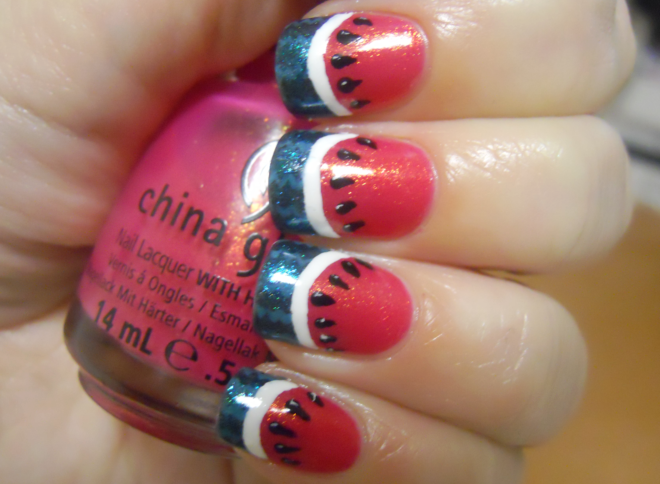 After the success of my cherry nails, I decided to do a fruit manicure again. 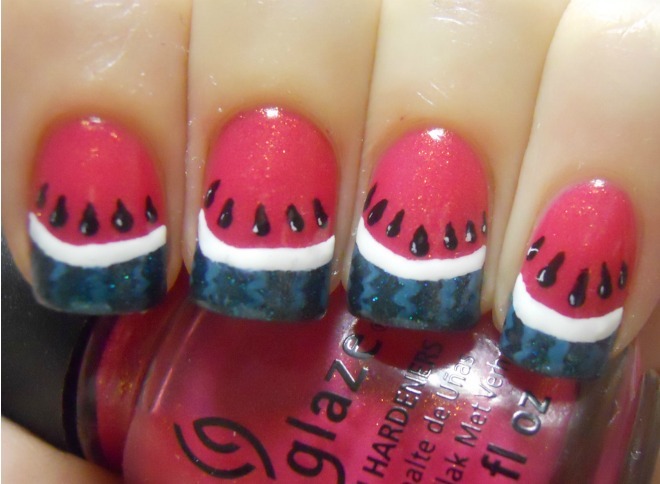 This time it's watermelon! 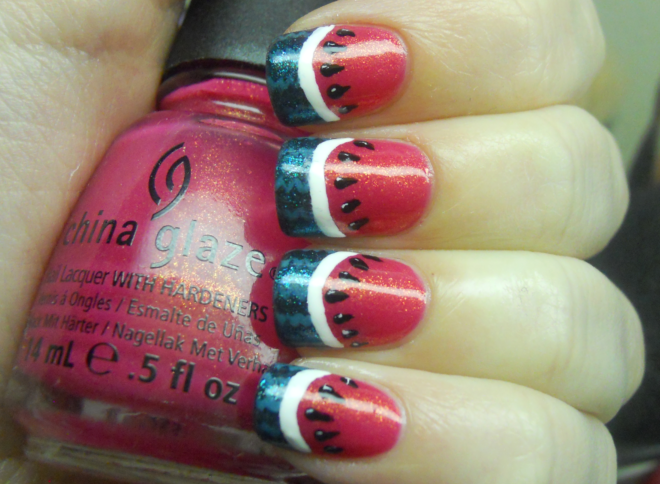 The base is China Glaze Strawberry Fields, and the ring is China Glaze Watermelon Rind. I used my typical black and white for the details, Sally Hansen Whirlwind White and Wet n Wild Ebony Hates Chris. I'm really liking the fruit manicures for spring/summer. Maybe strawberry nails will be next? 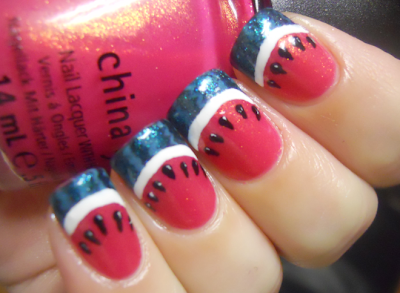 Oh my goodness these are adorable! 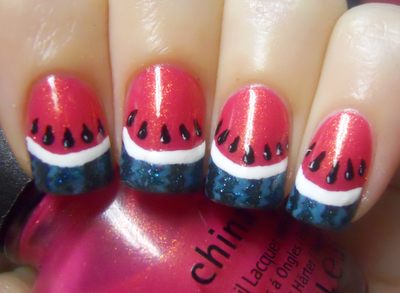 The little white spot on the seeds really adds to the juicy feel of this whole manicure. 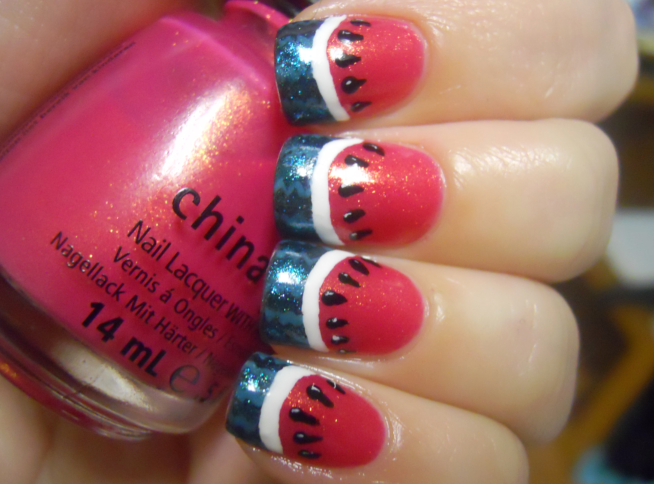 LOVE these! so summery and fun! Rebecca Minkoff Mini Mac Nails. Purple Paisley Half Moon Nails.